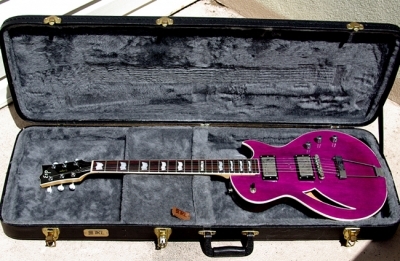 I got Kat her Sterling bass for our 10th anniversary, and she got me this lovely ESP semi-hollow. 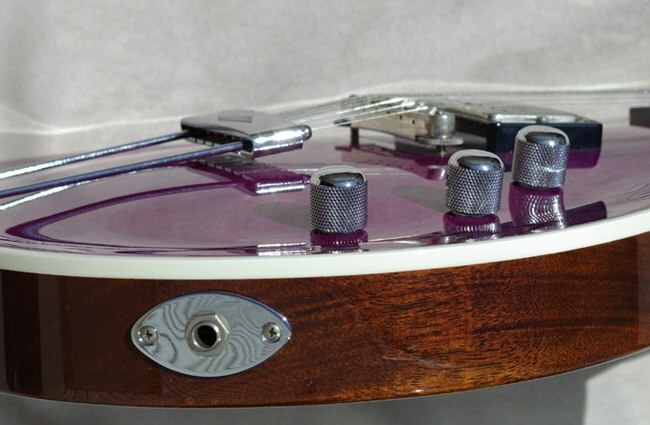 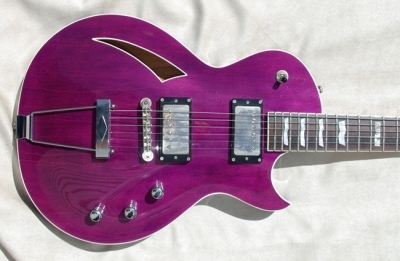 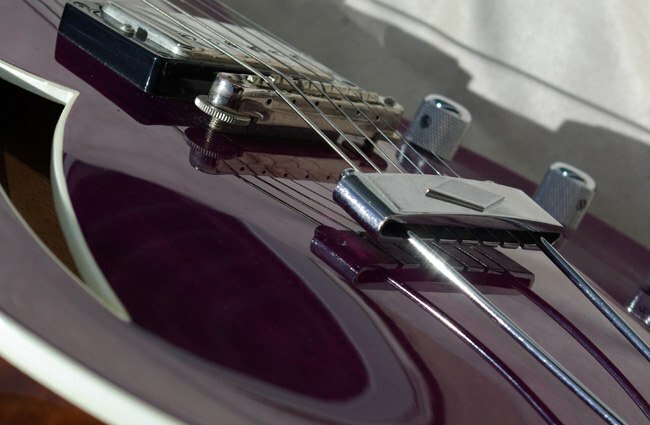 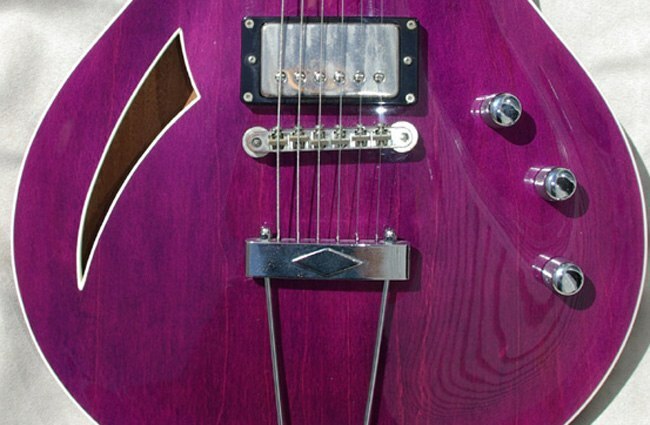 I had already gotten both ESP Eclipse Semi-Acoustics, so to find their rockabilly brother with the Gibson looks and a Fender-shaped neck in screamin’ See-Thru Purple, well, the attraction was pretty obvious. But I never played it outside the house, and ultimately getting the T5 made me part with this. 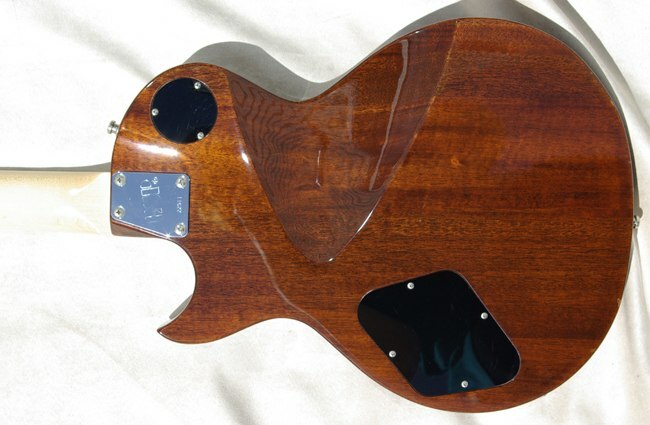 Of all the guitars I’ve loved and lost, this is the one I wish I still had. I sold it to a good friend who uses it as a Gretsch substitute, so I hope if he ever wants to part with it, he’d consider selling it back to me.